This lot features a Mickey Mantle 1952 Bowman #101 card that has been professionally graded and encapsulated in BVG 6.5 EX-MT+ condition. The card has stunning color with 4 rock solid corners. It is centered well left to right. The only real flaw with the card is that it is a hint off center top to bottom which is the only thin keeping it from a much higher grade. Very nice, aesthetically pleasing card of the Yankees Hall of Fame centerfielder. 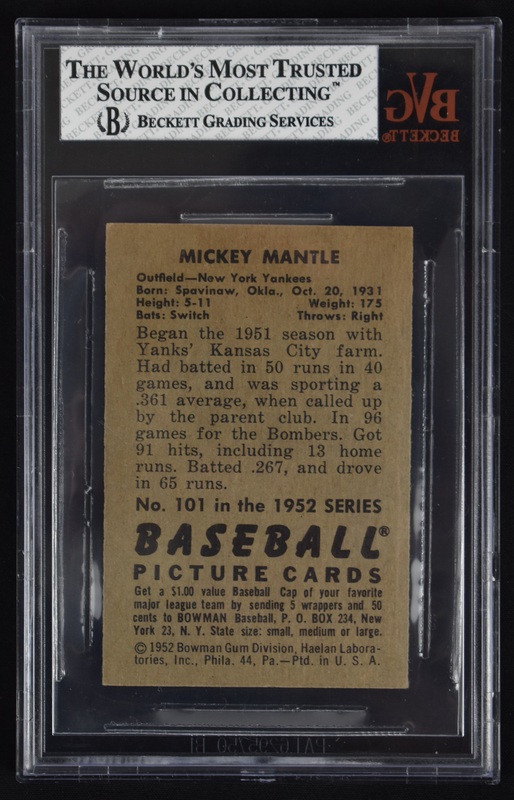 This was only the 2nd Mickey Mantle card ever produced by Bowman and was issued the same year as the much more heralded Topps version. 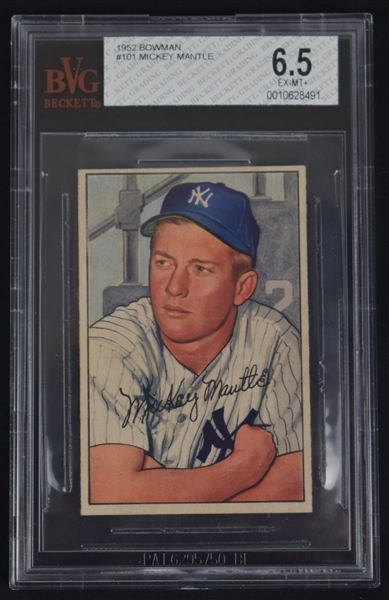 One of the more attractive Mickey Mantle cards ever produced by either Bowman or Topps.